Wards Lake is one of the most popular tourist locations in the hill city. Named after Sir William Ward, the then Chief Commissioner of Assam, this lake is a man-made lake, which is enclosed by a well maintained garden. 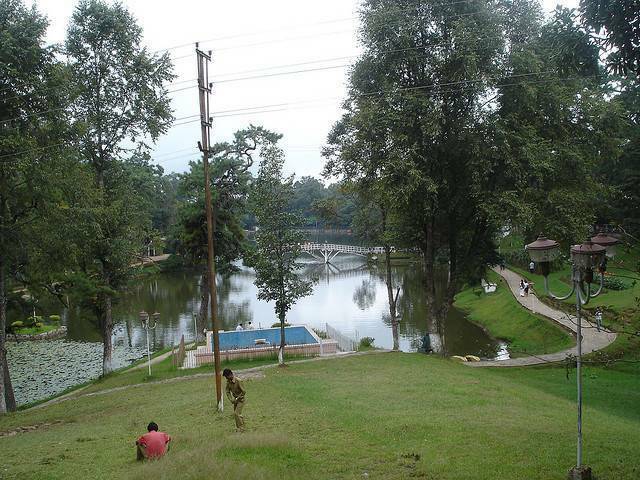 The lake is also known as Polok Lake, as the water body is situated right in the middle of the city. The beautiful horse-shoe shaped lake is loved by the people of the city as well as the tourists who come here because of its serene environment. At the lake, tourists can enjoy a number of recreational activities such as boating, taking a stroll around the cobble-stoned paths and fountain dancing. A beautiful wooden bridge is situated right at the middle of the lake and has beautiful lotus flowers growing on both the sides of it.